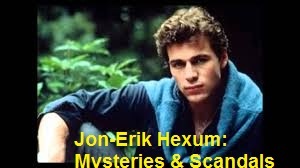 Brief Synopsis – Investigation into the accidental death on the set of rising Hollywood star Jon-Erik Hexum in 1984. My Take on it – I was only ten when this happened, but I recall it all happening. I was (and still am) a huge fan of the TV show Voyagers! and really was taken by the talent of Hexum at the time. When that show was cancelled after one season and Hexum was cast in Cover Up,, I recall watching episodes with my older siblings until that tragic day in October. It was great to see interviews from friends and colleagues of Hexum who give us their perspectives on what happened on that day. I enjoyed hearing the different theories as to the events of that day and the truth is that we will probably never know what really transpired and it all remains pure speculation. At least we have some great episodes of his two TV shows to see the talent that was extinguished too young while still in his prime. Bottom Line – Great to see interviews with the people who worked with Hexum and it gives us some very interesting perspectives on what happened that fateful day. Such a tragic story that I actually recall when it happened. At least he left us with some great episodes of two fun TV shows and a few films. Recommended!